A common issue that comes up when dating a guy is the discussion of lip gloss taste. Over the years I have had the chance to try many different lip glosses, and I have compiled a list of what I consider the top five best tasting lip gloss products. This is a great shiny gloss. The gloss has a slight pink tint making it a great addition to your daytime look. The staying power is excellent and really moisturizes your lips. Frozen Daiquiri from Bath & Body Works is available for $7.00 at bathandbodyworks.com or your local store. If you love the taste of Dr. Pepper soda, you will love this lip balm. It goes on smooth and keeps your lips soft all day long. It has a low price and comes in many other soda flavors. Dr. Pepper from Bonne Bell is available for $1.99 at drugstore.com. 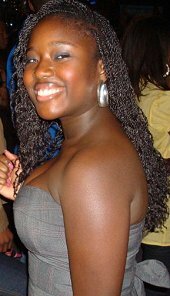 This lip gloss comes in many exotic flavors such as watermelon, tangerine, guava, grape, papaya, fig, and plum. These glosses are fairly pigmented and add a great sheen without being sticky. Wetslicks Fruit Spritzers from Cover Girl are available for $4.99 at walgreens.com or your local store. Another high sheen gloss comes to you from a great brand name. The gloss comes in a variety of colors to choose from. New York Shiny-Licious Lip Gloss from Maybelline is available for $5.62 at walmart.com or your local store. This lip gloss, made by the popular bottled water company, does a really effective job at hydrating your lips. It tastes great too, without being too fruity. As the newest lip gloss to make my list, I was extremely surprised at how much I loved this product. 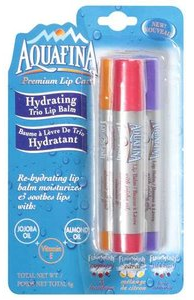 Aquafina Hydrating Trio Lip Balm is available for $2.73 at walmart.com or your local store.